As a leading UK training provider, we’re committed to helping businesses and their staff achieve high standards of food hygiene. Over 450,000 learners have received food hygiene certification from us, which provides them with the awareness they need to prepare and serve food safely. We often check in with our customers to see how they benefit from this training. Recently, we got in touch with Waterstones – one of our long-term customers – who purchase our food hygiene training for their Café W staff. Our aim was to learn about how important our training is to them and how it helps them achieve success. Waterstones shared with us some excellent first-hand experience about the importance of food hygiene awareness, so we thought we’d also share it with our readers. It should give you an insight into high standards of food hygiene in practice, which hopefully inspires you to follow Waterstones’ positive example. To give customers a place to relax after browsing the store, Waterstones originally integrated high street cafés into various branches. 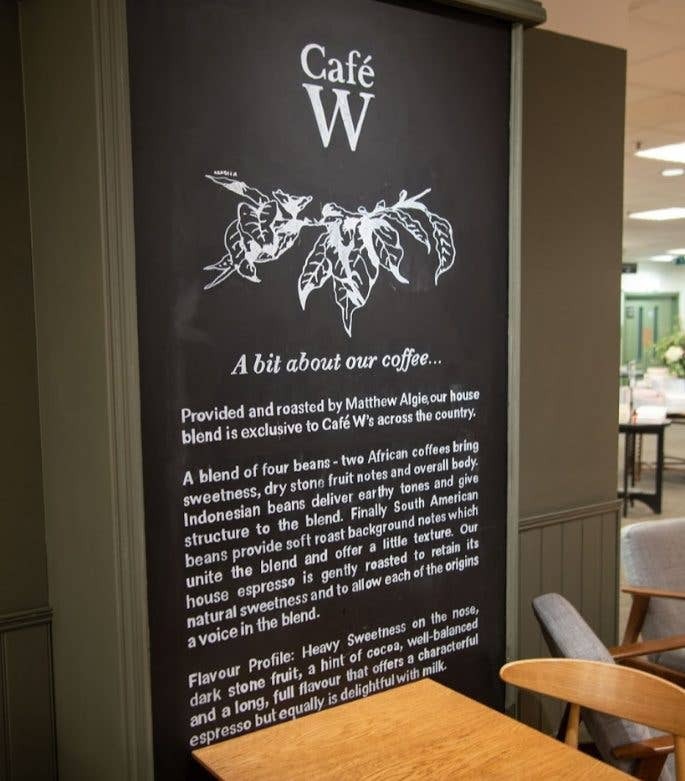 However, after recognising the popularity of coffee shops and wanting to take ownership of this side of their business, they eventually introduced their own chain in 2012, known as Café W.
They now have 72 Café Ws around the country, which have a strong focus on ethically-sourced coffee, locally-supplied food, and high-quality customer service. Their bespoke cafés have a bold identity, aiming to be the perfect place to enjoy a brew after buying a good read. This success doesn’t come easy to cafés, though. 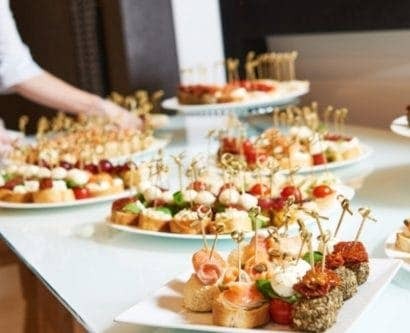 Anywhere that prepares food and drink, including cafés, must have high standards of food hygiene if they want to earn customers’ loyalty and trust. This requires a consistent commitment to food safety measures, and Waterstones is a prime example of following these practices by the books. Despite being primarily a bookstore, Waterstones treats its food hygiene responsibilities with the utmost importance. We interviewed Becky Oljanuk (bookshop manager of the Leeds branch) and Akilah Manneh (Health and Safety Project Coordinator) to learn about why they deem food hygiene as important as they do in Waterstones and what they do to uphold it. In particular, they discussed their focus on training, cross-contamination, ready-to-eat food, pest control, allergens, their food hygiene ratings, and how they prepare for EHO visits. She stated that training everyone – not just those specifically working in the café –enables other staff to jump in during busy times without putting food processes at risk. Clearly, they have a strong commitment to proper food hygiene procedures. They recognise how strongly it benefits their café and how important it is to protect their customers’ wellbeing. 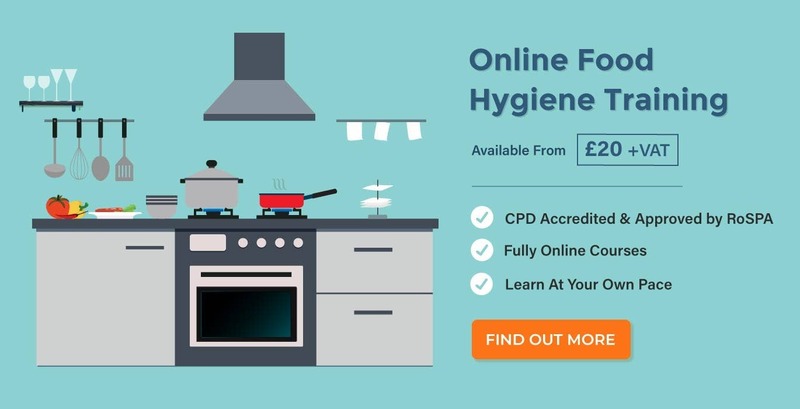 If you did not have your Food Hygiene certificates to hand, you would instantly be able to access any training records through our easy-to-use Learner Management System and evidence your compliance during an inspection. To learn more about how our online training could benefit you, contact our support team today. The fact that Café W often makes their own sandwiches is indeed a large risk factor. Ready-to-eat food requires careful handling and proper holding of ingredients. Otherwise, it could easily become cross-contaminated or spoil, and put their customers at significant risk of food poisoning or an allergic reaction. Their recognition of this risk indicates that they take their café’s safety seriously. With 44% of British adults having at least one allergy, it’s no wonder why controlling allergens is a focus of many UK food establishments. Waterstones is particularly aware of how important preventing allergenic contamination is. Café W barista, Zoe Outram with our Marketing Analyst, Adam. With allergenic safety and other risks in mind, their food safety management procedure is incredibly thorough. This commitment is what helps many of their Café W branches gain a five-star food hygiene rating. 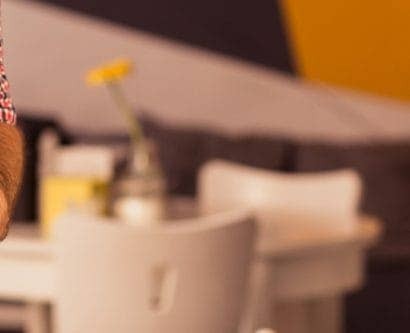 The food hygiene rating system, as determined and published by the Food Standards Agency, reflects the standard of a business’s food safety practices. A food establishment can receive a rating between 0 and 5. Businesses with significant violations to food safety may receive a zero, while a five indicates that the premises has excellent standards. Achieving a 5 is not easy, as Becky highlighted. 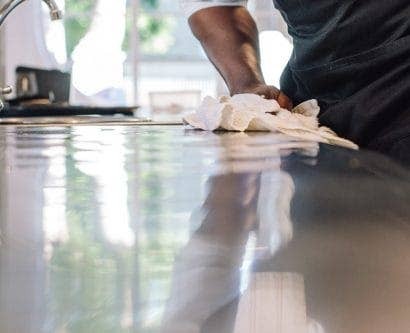 Establishments must demonstrate an exceptional and consistent commitment to all 3 key areas (hygienic food handling, physical conditions of the building, and food management systems) in order to attain a 5 food hygiene rating. After all, EHOs can arrive at any time unexpectedly. “I think it’s a badge of honour really.” She said. “A 5 shows that you are a 5 all the time.” Thanks to Waterstones’ attention to detail and commitment to following best practice, many of their branches have managed to attain it. This show that they really do maintain a high standard consistently. 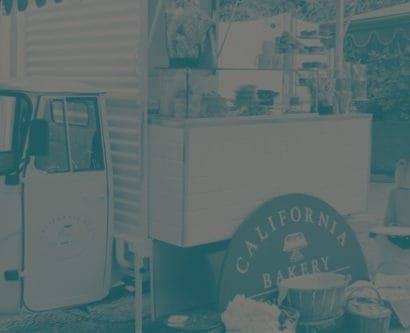 Sending this message to customers plays a huge part in gaining their trust in your business. We live an era where people are more aware of food safety than ever before. 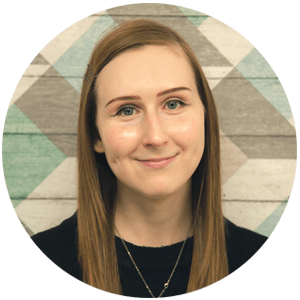 “When we first started bringing the cafés in, we realised how much competition there is with different cafes, so having a five-star food hygiene in and everybody fully trained is a big part of the experience really.” Becky said. Waterstones clearly recognise just how valuable this rating is for showing that their café performs just as well or even better than their competition. They also recognise how important it is for showing their café is trustworthy in its own right and that it takes its safety responsibilities seriously. Their dedication to consistently maintaining these high standards is how they manage to gain and retain their 5 ratings. It means they’re prepared for any EHO visit. These thorough practices are a prime example of due diligence. Checking everything on a daily, weekly, monthly, and quarterly basis means that everyone is in the habit of working hygienically. It promotes a solid culture where everyone knows the importance of following procedures and keeping a record of it. It’s therefore clear that Waterstones recognises the importance of a proactive rather than reactive approach, which is ultimately what every business should aim for. Akilah said that: “We are always trying to be one step ahead of any enforcement visit.” During their mini audits, their café development team are even stricter with scorings to push their standards as high as possible, which in turn makes them fully prepared for an impromptu EHO visit. Our LMS allows users to review their modules, even when the training has been completed, to ensure your knowledge is always up-to-date. 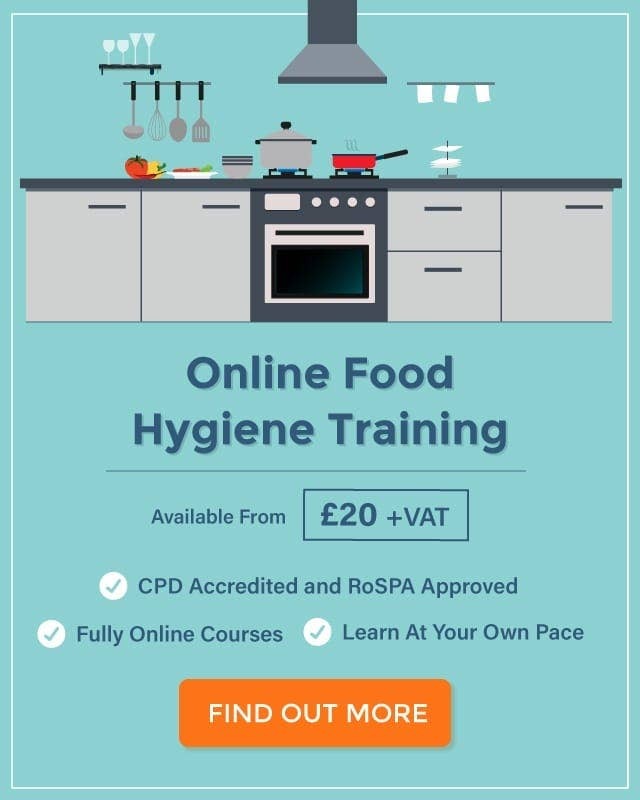 Browse our online catalogue of Food Hygiene Courses to see how we can help your business’ compliance and development needs. Unsure which training you need for your role? Our A-Z Food Hygiene Certificate Guide will help you choose. What Can You Learn From Waterstones? When we asked Akilah for some advice on attaining a 5, she listed the following key elements: “Meticulous paperwork, regular checks, keeping up to date with current legislation, a strong, experienced café team along with great attention to detail.” These are indeed crucial to consider, so how can a business achieve such a high standard? How committed your business is to its food hygiene practices and a solid routine. With their daily, weekly, monthly, and quarterly checks, Waterstones leave absolutely no room for standards to slip. Paying close attention to major risk factors, including fridge temperatures, cleanliness, cross contamination, allergens, and pest control. Keeping clear records of their process. Managers ensure that they check and sign off inspection documents so everything is accounted for. Properly trained staff, who understand how to follow food safety procedures and can apply this in practice. “Pest control, allergens and cross contamination are all monitored closely with new ways of working and regular training provided to staff.” Akilah said. It’s therefore clear that an important foundation to lay is staff training, as it enables staff to follow these closely-monitored processes. All of Waterstones’ staff receive external and internal training: the external training covers important legal standards that staff must follow and any legislative changes that occur, while the internal training covers their café’s specific processes. In preparation for an EHO inspection, you may want to use our Self Inspection Checklist to help you complete a mini-audit in your premises. With this groundwork in place, staff can uphold the rigorous safety process. They help Waterstones achieve their strong food hygiene ratings and keep customers returning to Café W like their favourite book. Their approach and attitude is one that more food establishments should aim to adopt if they want to see greater success in their business.